The collection of tunes on Radiance draws from a variety of Scottish fiddle manuscripts, bagpipe music collections, and the pen of all three band members. 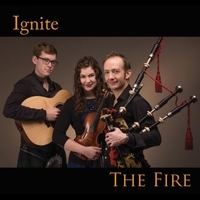 From a scotch-measure published in the first printed collection of Scottish fiddle tunes in 1700, to a bagpipe anthem, to a medley of contemporary original tunes, Radiance showcases The Fire's passionate mastery of the Scottish music tradition. Composed primarily of traditional Scottish tunes, this album features the interplay of Lomnicky's award winning fiddling with Brewer's masterful piping layered over a rich background of guitar and bouzouki. Showcasing a captivating diversity of instruments and regional styles, this album adds contemporary innovative spirit to the ancient roots of Scotland's fiddle and bagpipe traditions. 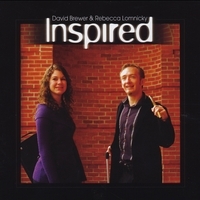 From a traditional Gaelic air to a set of contemporary reels, this exciting collection bridges the gap between the peoples music of Scotland and modern compositions by both David and Rebecca.